Home / .#Politics / Germany / #Politics from #Germany : Is the Merkel era going to end? #Politics from #Germany : Is the Merkel era going to end? Is the Merkel era going to end? Dr Angela Merkel will hand over the reins of her party to a successor at a conference on Friday (Dec 7) but how long she can remain German Chancellor remains an open question. Dr Merkel, who has led the centre-right Christian Democratic Union (CDU) since 2000 and Germany since 2005, has expressed the desire to see out her fourth term until 2021. However a number of scenarios could threaten that plan. The most immediate risk could come in the form of old rival Friedrich Merz, whom Dr Merkel muscled off the political stage more than a decade ago. The charismatic corporate lawyer, 63, is now one of three main contenders to take the helm of the CDU and few believe he would be able to overcome his smouldering resentment to work together with Dr Merkel for long. 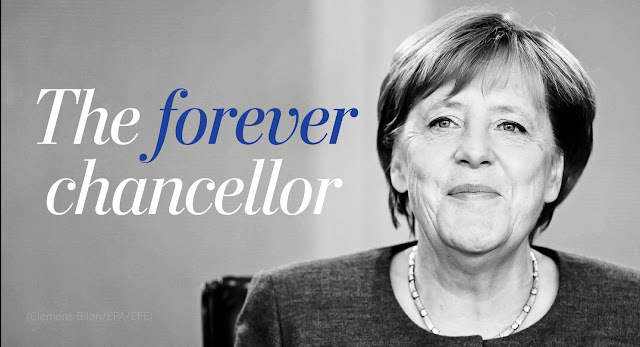 "Merz can't stand to be in a room with Merkel for one minute - he has always said that behind closed doors," said Mr Michael Broecker, editor of the daily Rheinische Post and close CDU watcher. 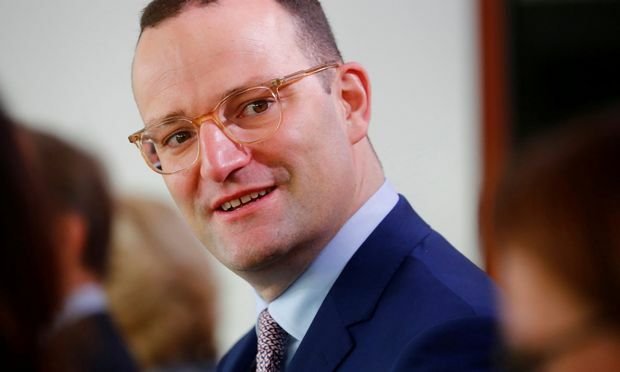 A swift end to the Merkel era would also be highly likely if Health Minister Jens Spahn, 38, an outspoken critic of her refugee policy, wins the CDU chairmanship. Hence she must hope her favoured heir apparent, CDU general secretary and Merkel loyalist Annegret Kramp-Karrenbauer, can unite a majority behind her in the tight race. European Union elections in May, in which mainstream parties are expected to lose further ground to the extremes, are also likely to put Dr Merkel's unwieldy "grand coalition" to the test. Her already fragile alliance with the weakened Social Democrats (SPD) could crumble in the wake of a further poll debacle, triggering new German elections. With three key state polls to follow in 2019 in the ex-communist east, where the far-right Alternative for Germany (AfD) has built up strong support on a "Merkel-must-go" platform, the CDU might seek to staunch the bleeding by ousting her beforehand. But even if she hangs on until those regional elections, grim scores in any of them could also force her from office - particularly a possible AfD win in the restive state of Saxony. Political scientist Eckhard Jesse of the University of Chemnitz says with all the factors she is up against, it is "nearly unthinkable" that Dr Merkel will hold on for another three years. He cites the sorry state of the SPD as one of the biggest risk factors largely beyond her control, as Germany's oldest party struggles with ideological infighting and a voter exodus. The SPD sees its alliance with Dr Merkel - who has co-opted many of its positions and squeezed it out of the political centre - as one of the main sources of its woes. Many party members see jumping ship as the SPD's only hope - a move that would deprive Dr Merkel of a ruling majority. Such a move could come as soon as after the European elections, or following a planned members' referendum on the "grand coalition" government at mid-term in late 2019. It would then be up to Dr Merkel's successor at the head of the CDU to either try to find new partners, or carry the party banner into new elections.